Dr. Azizzadeh, who specialize in diagnosing and treating facial paralysis would like to combat that attitude. Advances in minimally invasive treatment and multidisciplinary approaches to this condition have resulted in restoration of symmetry and function, as well as better quality of life, for those affected. 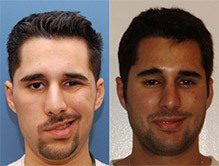 For many Bell’s palsy patients, symptoms resolve within a 1-3 month period. But during this period, however, the eyes must be protected. Without the ability to close the eye, patients’ corneas become dry, putting them at risk of abrasion and ulceration. Therefore, whatever the cause or prognostic course of the paralysis, protecting the eyes is of upmost importance. Short-term measures include the use of eye ointments, non-preservative eye drops, transparent moisture eye patches and wraparound sunglasses during the day. Taping the eye shut at night is also an important part of protecting the eyes. Some patients may benefit from initiating facial massage, as massaging the face can cause the muscles to contract and retain tone while waiting for nerve re-growth. 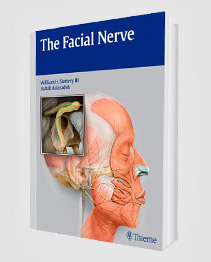 If the facial nerve does not begin to function with time, or has been sacrificed as part of another procedure, treatment strategies should be tailored to the patient’s circumstances, based on time of nerve injury, state of health, age and functional goals. Taking a patient-centered approach is extremely important, and that is why Dr. Azizzadeh starts conversations about options at an early stage. 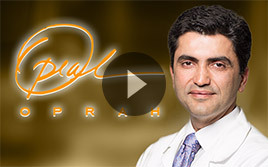 If prolonged recovery is anticipated, or if permanent paralysis is present in the upper face, Dr. Azizzadeh considers either low profile gold or platinum weights to restore the blink response. When extensive oncological resection surgery is required, on the other hand, Dr. Azizzadeh prefers to wait until the post-surgical swelling has abated to fit his patients with the eyelid weights. He chooses the weights in the clinic, allowing him to tailor them for each patient. In addition, a lower eyelid tightening procedure and a direct brow lift can be beneficial. All of the upper facial procedures can be performed as outpatient procedures, under local anesthesia with intravenous sedation. Many options also exist for the lower face. The first choice is to try to directly repair the nerve or use cable nerve grafts. If this is not possible, then hypoglossal-facial nerve anastomosis or cross-facial nerve grafting can be used as long as the motor end plate of the muscle has not fibrosed. After one year of injury, EMG is helpful to determine the state of the distal facial nerve injury. After one to two years, if nerve repair is not possible, muscle transposition techniques using the temporalis sling can be successfully used for chronic paralysis, taking into consideration the patient’s age, health and personal preferences. For static support of the lower face, a minimally invasive procedure to suspend the corner of the mouth can be achieved by making an incision in the melolabial crease and anchoring a heavy permanent suture to the zygoma periosteum. Under intravenous sedation, this suture can then be tightened by placing the patient in an upright position to tailor the precise pull needed to improve lip competency, with immediate patient feedback. At the CENTER, Dr. Azizzadeh, utilizes a state-of-the-art 3-D video animation tool that helps patients visualize movement deficits. He then has the patient work with physical therapists so that the patient can learn biofeedback techniques to retrain muscles. During the patient’s recovery, facial nerve rehabilitation and botulinum injection can be very helpful in minimizing unwanted synkinesis. In addition, psychological support is an important part of facial nerve rehabilitation. 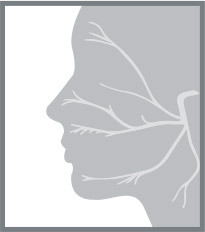 To comprehensively treat patients with permanent facial paralysis, a long-term commitment to follow-up is needed to maximize their facial function and appearance, because future surgical adjustments after facial reanimation procedures are required to optimize results due to the aging process and healing. 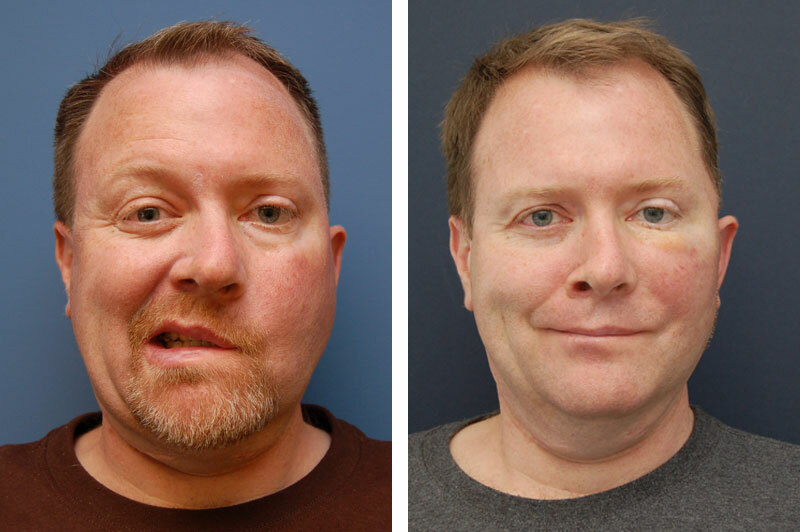 If you are suffering from facial paralysis, schedule a consultation with Beverly Hills facial paralysis expert Dr. Azizzadeh by calling (310) 657-2203 today!